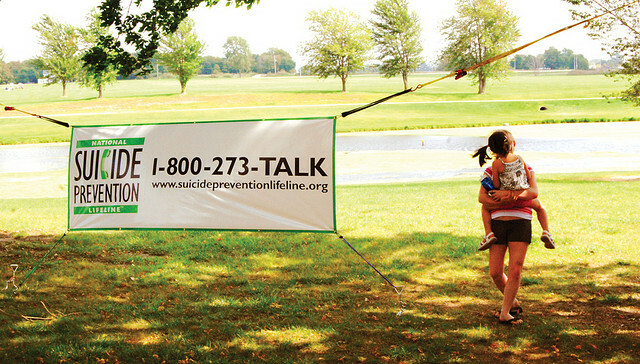 It's Suicide Prevention Week and advocates are busy conducting suicide awareness campaigns. But there is not evidence that awareness reduces suicide. More effective suicide prevention approaches are being ignored. Suicide is rare among the general population. It is more common, but still rare, among people with serious mental illness. There are about 38,000 successful suicides per year (American Foundation for Suicide Prevention 2010). There are at least 380,000 attempts. The lifetime risk to those with schizophrenia is only 5%. (Hor and Taylor 2010). The lifetime risk to those with bipolar is only 10-15%. (Center for Disease Control and Prevention 2014). Mental health advocates regularly overstate the prevalence of suicide and attempts among persons with mental illness. At the high end, the National Alliance on Mental Illness claims, “More than 90% of youth suicide victims have at least one major psychiatric disorder.” (National Alliance on Mental Illness (NAMI) 2013) Mental Health America, a trade association for providers of mental ‘health’ services estimates “30% to 70% of suicide victims suffer from major depression or bipolar (manic-depressive) disorder” (Mental Health America n.d.). But suicide is not always the irrational act of a sick mind. Mental illness in people who commit suicide is often diagnosed after the fact. After someone takes his or her own life, we look for a cause. If they take their life after having had lost their spouse or job, received a bad grade in school or received a new medical diagnosis we chalk it up to depression and put the suicide in the mental illness column. In spite of being overstated, it is clear that suicide does disproportionately affect people with mental illness. Dr. E. Fuller Torrey looked at studies of the prevalence of suicide among the seriously mentally ill and studies of the prevalence of serious mental illness among those who suicide, two sides of the same coin, and in both cases found about 5,000 of the 38,000 suicides (about 14%) were in people with serious mental illness. This is three times as high as the general population. (Torrey n.d.). Every suicide is a tragedy for the individual, their family, and the community. Many of the truly mental illness related suicides could be prevented if persons with mental illness were provided care. Instead of doing that, the mental health industry’s main tool in reducing suicide takes the form of public service announcements, brochures, hotlines, and speeches targeted to the general population. For example, in 2012, the California mental health industry banded together to spend $32 million in public funds for a TV, radio, billboard, online, mobile and print advertising campaign targeted at the general public to reduce suicide. (California Mental Health Services Authority 2012). But those charged with overseeing the funds, refuse to measure rates of suicide to see if the funds are having an impact. Instead they measure tangential issues like “attitudes” and number of presentations made. The money is wasted. despite their popularity as a public health intervention, the effectiveness of public awareness and education campaigns in reducing suicidal behavior has seldom been systematically evaluated. Such public education and awareness campaigns, largely about depression, have no detectable effect on primary outcomes of decreasing suicidal acts or on intermediate measures, such as more treatment seeking or increased antidepressant use. Mental health industry sponsored suicide initiatives are often targeted at college students, a group least likely to commit suicide. The 2011 National Survey on Drug Use and Health is one of the premiere epidemiological surveys and found college students were less likely than other same aged adults to have serious thoughts of suicide (6.5 vs. 8.4 percent), make suicide plans (1.5 vs. 2.4 percent), or attempt suicide (0.8 vs. 1.8 percent). (SAMHSA 2012). The college targeted PR programs are no more effective than mass market anti-suicide PR campaigns. One effective suicide prevention strategy is means removal: putting locks on guns, medicine cabinets and drawers containing knives. (Yip, et al. 2012). However, the mental health industry has largely been unwilling to give up funds they can use to create TV ads featuring their logo in order to fund suicide means reduction. California did authorize the use of mental health dollars to fund a net under the Golden Gate Bridge. But that was largely a PR ploy to defuse criticism of massive waste in California’s Mental Health Services Act (MHSA) fund which is supposed to fund services for the seriously ill. (Mental Illness Policy Org. August, 2013) California Senate President Pro Tem Darrell Steinberg claimed “Proposition 63’s contribution to suicide prevention at the Golden Gate Bridge will probably become its most publicly recognizable benefit.” (Steinberg 2014). As far as we know, no mental health provider is proposing to use suicide funds to treat the seriously ill. There is evidence they should. A Kendra's Law study in New York found Assisted Outpatient Treatment, reduced suicide attempts and physical harm to self 55%. (New York State Office of Mental Health 2005). The Treatment Advocacy Center compiled a list of suicide studies suggesting suicide is more likely to occur in those individuals with schizophrenia and bipolar disorder who are not being treated or adequately treated and less likely in those that are treated. A 34-year follow-up study of 158 individuals with bipolar disorder reported that 18 of them (11 percent) had committed suicide. The suicide rate was more than twice as high among patients who had not been treated compared with those who had been treated (p = 0.04), a difference the authors called "spectacular." A case control study of 63 individuals with schizophrenia who committed suicide and 63 individuals with schizophrenia who did not reported that "there were seven times as many patients who did not comply with treatment in the suicide group as there were in the control group." If the mental health industry insists on relying on communications as a path to reduce suicide, then those communications would be much more effective if they were targeted at those of highest risk of suicide, not the general public. Prisoners are a high-risk group. Suicide in jail is three times more common than in the general population and thirty eight percent of those who committed suicide in jail in 2005-2006 had a known history of mental illness. (Hayes April, 2010). If the mental health industry worked to reduce incarceration of persons with mental illness, they could further reduce suicide. To reduce suicide we should stop funding what doesn’t work and start funding what does. The Helping Families in Mental Health Crisis Act (HR-3717) proposed by Representative Tim Murphy (R-PA) along with 96 bipartisan co-sponsors takes a step in this direction by ensuring mental illness spending is driven by evidence and through funding various anti-suicide initiatives. American Foundation for Suicide Prevention. Suicide: Facts and Figures. 2010. https://www.afsp.org/understanding-suicide/facts-and-figures (accessed April 15, 2013). Angst F, Stassen HH, Clayton PJ et al. "Mortality of patients with mood disorders: follow-up over 34-38 years." Journal of Affective Disorders 68 (2002): 167-181. California Mental Health Services Authority. California Mental Health Services Authority Launches Statewide Suicide Prevention Campaign. Dec 12, 2012. http://www.prweb.com/releases/prweb2012/12/prweb10229719.htm (accessed 12 28, 2013). Center for Disease Control and Prevention. "Surveillance for Violent Deaths — National Violent Death Reporting System, 16 States, 2010 ." Morbidity and Mortality Weekly Report, January 17, 2014: 1-33. De Hert M, McKenzie K, Peuskens J. "Risk factors for suicide in young people suffering from schizophrenia: a long-term follow-up study." Schizophrenia Research 47 (2001): 127-134. Diego de Leo, Franzcp. "Why are we not getting any closer to preventing suicide?" The British Journal of Psychiatry 181 (2002): 372-374. Gaertner I, Gilot C, Heidrich P. "A case control study on psychopharmacotherapy before suicide committed by 61 psychiatric inpatients ." Pharmacopsychiatr 35 (2002). Hayes, Lindsay M. National Study of Jail Suicide: 20 Years Later. National Institute of Corrections, U.S. Department of Justice, Available at http://static.nicic.gov/Library/024308.pdf, April, 2010. Hor, Kahyee, and Mark Taylor. "Suicide and schizophrenia: a systematic review of rates and risk factors." Journal of Psychopharmacology, November 2010: 81-90. J. John, Mann MD, Apter MD Alan, and et. al. "Suicide Prevention Strategies A Systematic Review." The Journal of the American Medical Association (JAMA) (American Medical Association) 294, no. 16 (October 2005): 2064-2074. Mental Health America. Suicide. http://www.nmha.org/go/suicide (accessed April 15, 2013). Mental Illness Policy Org. "California’s Mental Health Service Act: A Ten Year $10 Billion Bait and Switch." New York, NY, August, 2013. National Alliance on Mental Illness (NAMI). Suicide Fact Sheet. January 2013. http://www.nami.org/factsheets/suicide_factsheet.pdf (accessed April 15, 2013). New York State Office of Mental Health. Kendra's Law: Final Report on the Status of Assisted Outpatient Treatment. Report to Legislature, Albany: New York State, 2005, 60. SAMHSA. "Results from the 2011 National Survey on Drug Use and Health: Mental Health Findings." Center for Behavioral Health Statistics and Quality, Substance Abuse and Mental Health Services Administration , Rockville, MD, 2012. Sanburn, Josh. "Inside the National Suicide Hotline: Preventing the Next Tragedy." Time, September 13, 2013. Shields LBE, Hunsaker DM, Hunsaker JC III. "Schizophrenia and suicide: a 10-year review of Kentucky Medical Examiner cases." Journal of Forensic Sciences 52 (2007): 930-937. Steinberg, Darrell. Steinberg on vote for Suicide Barrier at Golden Gate Bridge. June 27, 2014. http://sd06.senate.ca.gov/news/2014-06-27-statement-steinberg-vote-suici... (accessed July 20, 2014). Torrey, E.F. 5000 suicides a year are likely caused by mental illness, mainly untreated mental illness. . http://mentalillnesspolicy.org/consequences/suicide.html (accessed 4 15, 2013). Tsuang, MT. "Risk of suicide in the relatives of schizophrenics, manics, depressives, and controls. T." Journal of Clinical Psychiatry 44, no. 11 (November 1983): 398-400. Yip, Paul, Eric Caine, Saman Yousuf, and Shu-Sen Chang. "Means restriction for suicide prevention." Lancet 379, no. 9834 (June 2012): 2393 - 2399. Photo by 1800 copy via Flickr. I suffer from major depression and borderline personality disorders, Its rather difficult to live with, why? I mean I'm 51 of age and a male, had it for 10 years, will it go away?